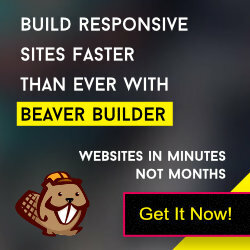 Sticky header effect is inbuilt in GBeaver Theme. Using this option you can easily add the shrink effect at your site header. Step 1: Enabling the sticky header effect. Login to Dashboard, navigate to GBeaver options page and expend the General Settings section. Enable the Sticky Header feature. Click on “Save Changes” button and save the settings. Open the style.css file from gbeaver folder and add the following CSS. All done now. Refresh your site now and checkout the shrink header effect.